Smart shoppers everywhere know that no matter what you’re on the market for, it’s a good idea to get a general overview of how actual users rate their experiences with the product. 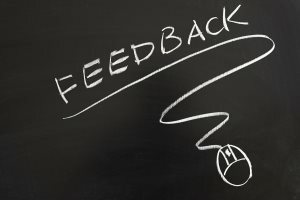 Online review websites give customers of products and services everywhere a chance to share their views, no matter how valuable or irrational their perspective may be. Given the propensity for customers to share their opinions at any opportunity, it is no surprise that websites, such as Glassdoor.com come and Jobitorial.com, have arisen to provide job seekers with reviews and background information from people on the ground at a given company. But do these review sites offer valid and valuable information to bolster the effectiveness of your job search? As with any review service, it is up to the individual to filter out the noise and select only the most quality reviews for making job-related decisions. For that task, here are some general guidelines to help you utilize online reviews effectively in order to assist in making the best employment decision for your life. In order to narrow down your initial list of potential employers, it is tempting to color your perceptions with online reviews right out of the gate. And while a long list of adoring comments may push you towards specific companies, bad reviews may discourage you from applying to an otherwise interesting job. To avoid this potential pitfall, you should try to ignore your understandable urge to read reviews until after you’ve applied to your unfiltered list of selections. Pay attention to each companies own websites, social media presence, news, and job descriptions instead. Once you do get around to checking out company reviews, it is crucial for you to maintain your objective perspective by recognizing that employees (like customers) are much more likely to share negative experiences online than positives. In fact, disgruntled employees are over three times more likely to post a negative review than a happy employee is to post a positive one. Reviews are often viewed as venting mechanisms and a way to blow off steam about a company that has performed some perceived wrong. Of course, not all negative (or positive) reviews are invalid or discredited, but comments should be considered only in the greater context of positive or negative patterns. It is also important to pay attention to what the comments are complaining about and whether they are simply effects of normal business operations. Now that you’ve uncovered a trend in the reviews of your preferred employers and recognized a handful of key issues that are frequently mentioned, it’s time to make a list of items you wish to address with the company at your interview. For the sake of etiquette, you should adapt the negative language of complaints into neutral questions. For instance, if there are many complaints about one company working employees too hard, with a rigid and unfair scheduling system, you can simply ask your interviewer about the length of a typical workday. Never approach any issue in an accusatory way and leave paths open for factual and straightforward responses. Online reviews can easily become a primary source of individual opinions and in this way can be as dangerous as they can be useful. They should never be used as the sole determinant of how you see a company and must be only one item in a list of other valid sources. Try to reach out to current and former employees to hear about their personal experiences. Use your observation skills at an interview to notice employee demeanor and apparent job engagement. In short, trust your gut over the opinions of strangers to ensure a more balanced approach to forming an opinion about your potential employers.